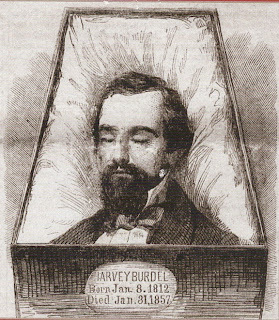 Harvey Burdell had come to New York City in 1834 to join the dental practice of his brother John. The two were highly successful, catering to members of New York’s high society. Together they published a dental handbook entitled The Structure, Physiology, Anatomy, and Diseases of the Teeth, In Two Parts. They worked together for five years, then Harvey started his own practice. Though his dental practice was thriving, Harvey Burdell made most of his money in banking and real estate speculation. While successful and highly regarded uptown, Burdell was also well known in the Bowery where he often went to gamble and visit brothels. He was also known to service the dental needs of prostitutes working in his Bond Street neighborhood and to take his fee in trade. Sometime around 1854, Harvey Burdell met and began a whirlwind courtship with a young widow named Emma Cunningham. She was born Emma Hempstead in Brooklyn, New York in 1818. Her father, Christopher Hempstead, was a poor but devoutly religious rope maker. Emma knew from an early age that she wanted more out of life and as a teenager, using her beauty and sexuality, began her social climb. She married George Cunningham, twenty-two years her senior, who inherited a successful distillery from his father. 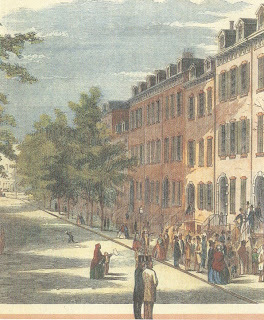 In 1844 the Cunninghams moved to a townhouse on Irving Place in Manhattan and became part of upper middle-class society. But George Cunningham was not the businessman that his father had been and in 1846 a series of business reversals and foreclosure drove the Cunninghams back to Brooklyn. Amid their growing poverty, George and Emma had five children. 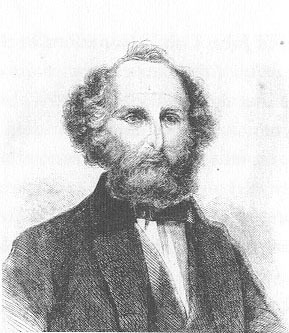 Out of desperation, George Cunningham joined the gold rush to California in 1849. He failed at this as well and returned to Brooklyn where he died in poverty in 1854. Emma, now a 33-year-old widow, inherited property and life insurance benefits worth $10,000. She knew the money would not last long or allow her to live the life she desired, so Emma, still quite attractive, went looking for another husband. She had several other suitors but set her sights on Dr. Harvey Burdell. 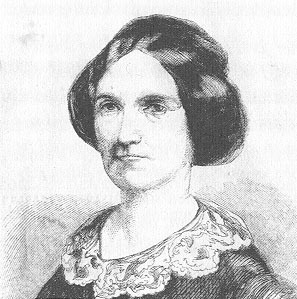 The following August she joined Burdell at the upstate resort of Saratoga Springs. That fall Emma and Harvey were still together and Emma determined that she was pregnant. Burdell persuaded her to have an abortion, and may have actually performed the operation himself. Around this time Burdell leased Emma the house at 31 Bond Street and she and her five children moved in. She ran a boardinghouse in the four-story building with Dr. Burdell keeping his own room and dentist office on the second floor. 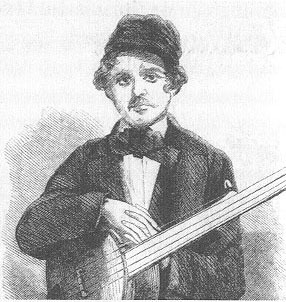 Also living in the house were a tanner named John Eckel and an 18-year-old poet and banjo player, George Snodgrass. By 1857 the relationship between Emma Cunningham and Harvey Burdell had grown strained to say the least. Emma was intensely jealous of Burdell’s 24-year-old female cousin, Dimis Hubbard, who was a frequent house guest. She was also, no doubt, aware of his trysts with female patients in his dental office. They had frequent arguments and Burdell no longer ate at Emma’s table, preferring to take his meals at the nearby Lafarge House. About half past ten o’clock on the night of January 30, 1857 the man living at 36 Bond Street heard a blood-curdling cry of “Murder” but could not tell where it came from. The following morning, the boy hired to start the fire in Dr. Burdell’s office opened the office door to find the doctor’s mutilated body lying face down on the floor in a pool of blood with blood spattered more than five feet up the wall. The body was examined and it was determined that the doctor had been strangled with a garrote and stabbed fifteen times with a long slender knife. News of the murder travelled swiftly through the streets of New York and throughout the day a morbidly curious crowd surrounded 31 Bond Street. The coroner was called in and an inquest that would last two weeks was begun in the house. The house was searched and everyone living there was questioned, including some very observant maids. Quite a bit was learned about the character of the inhabitants of 31 Bond Street. Emma Cunningham produced a marriage certificate proving that she was actually married to Harvey Burdell, though Burdell had requested that the fact be kept secret. The search of George Snodgrass’s room turned up undergarments belonging to Helen Cunningham, Emma’s 15-year-old daughter. The maids testified to Burdell’s affair with his cousin Dimis Hubbard and to Emma’s anger over the matter. They also testified that Emma was sleeping with John Eckel. The coroner also established that the knife wounds indicated that the stabber was left handed. Emma Cunningham was left handed. Emma Cunningham and John Eckel were charged with murder; George Snodgrass was charged as an accessory. All three were taken to the Tombs prison. Before the murder trial began, the issue of the authenticity of Emma Cunningham’s marriage to Harvey Burdell was taken up. Since Burdell died without a will, the outcome would have a significant impact on the distribution of his rather sizeable estate. Burdell’s blood relatives had already begun maneuvering and the matter was still unresolved when the murder trial began. 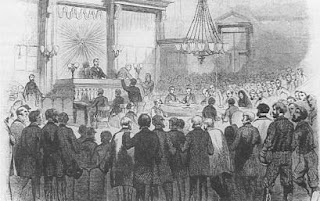 The murder trial drew enormous crowds, with every available inch of space in the courtroom occupied by spectators. There was an especially high percentage of well-dressed women in attendance. Compared to the inquest, the trial of Emma Cunningham was very short, lasting only three days. The prosecution’s case was a rehash of the testimony presented at the inquest, telling the story now familiar to anyone who read New York City newspapers. They also did everything they could to thoroughly tarnish the reputation of Emma Cunningham. 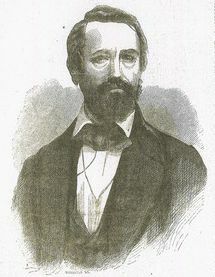 The defense attacked the circumstantial evidence and did a hatchet job on Harvey Burdell, specifically his dalliance with Dimis Hubbard, the “kept mistress of her own blood cousin.” Assuming the authenticity of Emma’s marriage to Burdell the defense asked why she would murder a husband with a steady and sizable income. They also posited many others who wished Burdell dead. Though the judge did his best to suppress negative testimony on Burdell’s reputation, the defense did their job well. The jury returned a verdict of not guilty. Eckel and Snodgrass were never tried. 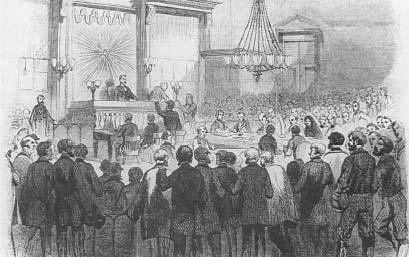 In the matter of Emma’s marriage to Harvey Burdell, Burdell’s blood relatives hired prominent attorney and future presidential candidate Samuel Tilden to represent their interests. But it was Emma herself, and not Tilden’s oratory, that defeated her claim. While still in the Tombs, Emma claimed she was pregnant with Harvey Burdell’s baby. This fact, if true, would increase her claim on his estate from approximately one-third, to 100%. Emma, in fact, was not pregnant, though she continued this claim after she was acquitted and released. She realize that, for her plan to work, she would need an accomplice. She confided with a Dr. Uhl who agreed to help her and, when the time came, to supply her with a baby to present as Harvey Burdell’s heir. Dr. Uhl, however, went straight to the district attorney. When the time came for Emma to “give birth,” Dr. Uhl told her he had procured the baby of a woman who had become pregnant after her husband went to California. She now planned to join him and needed to give up the baby. In fact, the district attorney had gone to Bellevue hospital and borrowed the baby of an indigent mother. Emma, dressed as a Sister of Mercy, carried the baby from Dr. Uhl’s office in a basket. The ruse was played out, with Emma faking delivery by screaming behind a closed door. But when Dr. Uhl emerged with the baby, policemen entered the room and charged Emma with fraud. The charge was eventually dropped but it was enough to invalidate her claim of marriage in the eyes of the Surrogate Court. After seeing that her daughters were taken care of, Emma left for California. She married again in 1870 and was widowed again thirteen years later. She moved back to New York where she died in poverty. She is buried in Green-Wood Cemetery, a few hundred yards from Harvey Burdell. Feldman, Benjamin. Butchery on Bond Street - Sexual Politics and The Burdell-Cunningham Case in Ante-bellum New York : Green-wood Cemetery Historic Fund in association with the New York Wanderer Press, 2007. Sutton, Charles, James B. Mix, and Samuel Anderson Mackeever. The New York Tombs; Its Secrets and Its Mysteries. Being a History of Noted Criminals, With Narratives of Their Crimes . New York: United States Pub. Co., 1873. Ah, I remember this from Forgotten News by Jack Finney. Highly recommended. Thanks for this; I enjoy your web site greatly. I am so glad that people know about this story, I have been a fan of this lurid bit of history since I first read about it in 1985, just so colorful and rich, and a good read too. Walk down Bond Street today, the streets are the same cobblestones that Dr. Burdell and Emma Cunningham thread, it's stories like this that make me love New York. Someone should make a movie out of this. FYI Robert Mapplethorpe's studio was just across the street from what was 31 Bond Street, he lived at 24 Bond in the 1970's & 80's. Thank you for this most fascinating compilation of cases. I just finished a fictional account of this murder - 31 Bond Street and was kind of surprised that the author summarized the murder and wrapped it all neat and tidy (she also had the trial lasting more than a week, not 3 days). My questions is what happened to the children after the trial and acquittal? In the fictional account it only mentions two daughters - Helen and Augusta - and no other children, although she does give some background at the end stating the Cunninghams had five children and she did mention that there were other people who were boarders at the house. 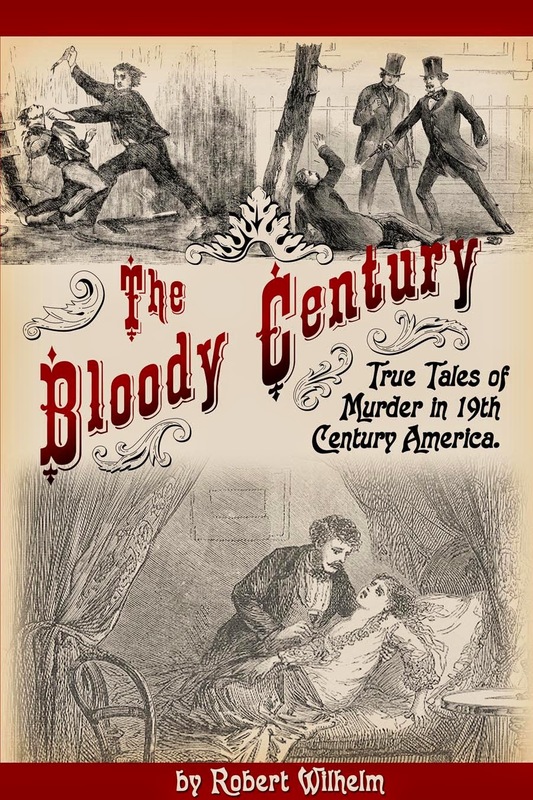 As I was reading the book, something popped into my head about "black widow murders" and I feel compelled to write a murder mystery but not necessarily based on Emma Cunningham's ordeal but around the same timeframe - mid 1800s to early 1900s. Are there any other murders by women in this timeframe where there were multiple victims (preferably husbands of the women) that I can kind of research and write a fictional account of such?